This large conifer tree looked like it had been reduced many years ago, then left to grow unchecked. The result was a mass of straight stems growing from a spreading trunk creating a very wide canopy. The Tree House Masters would have loved it! http://www.animalplanet.com/tv-shows/treehouse-masters/ Unfortunately the customer wanted it down as it was taking up too much of his garden and encroaching on the neighbour’s space. 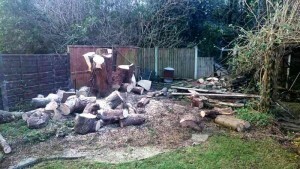 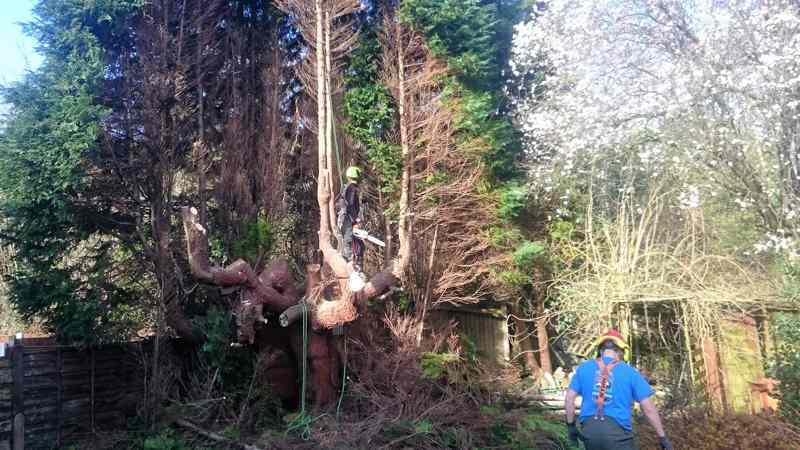 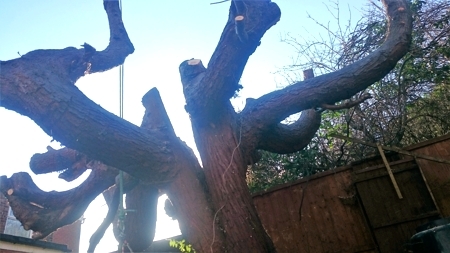 Nearly finished – just the rest of the trunk to get down, remove all the logs and tidy up the area. 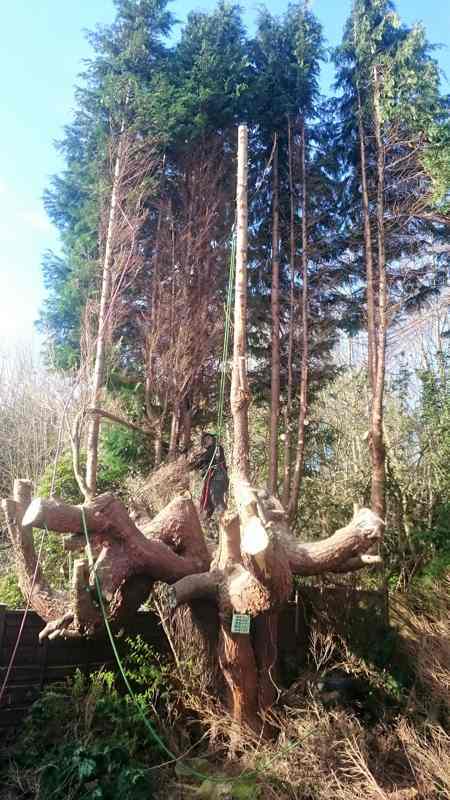 We managed to harvest a lot of the straight poles for future use constructing log shelters etc. 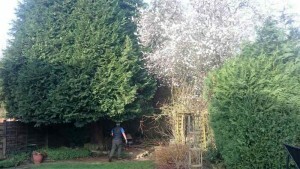 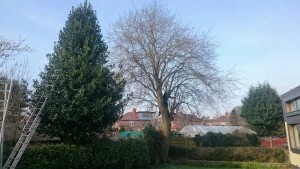 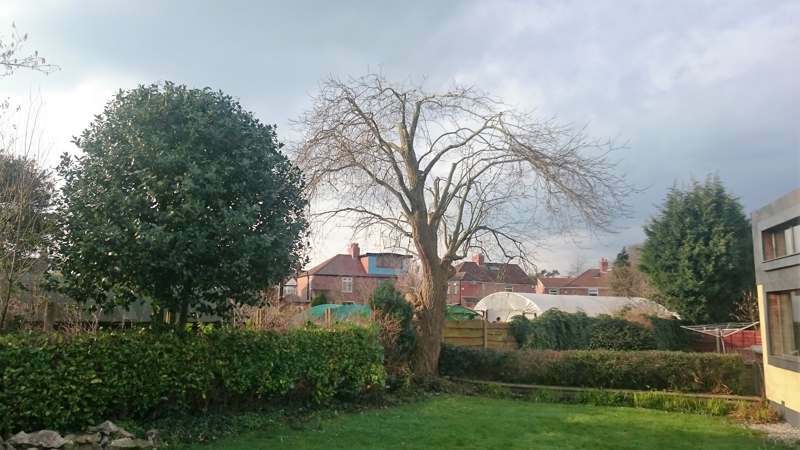 The customer here liked having trees in his garden, but was concerned that they were starting to block out a lot of the light to their lawn and new extension. 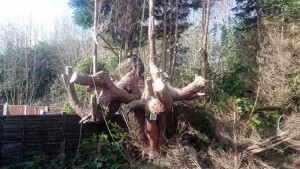 We agreed on reducing the willow by 30% and thinning the crown. 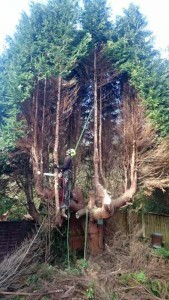 The holly got a 30% reduction and a trim.